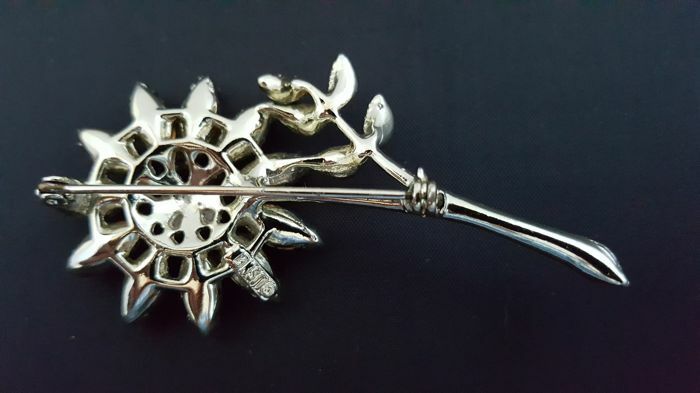 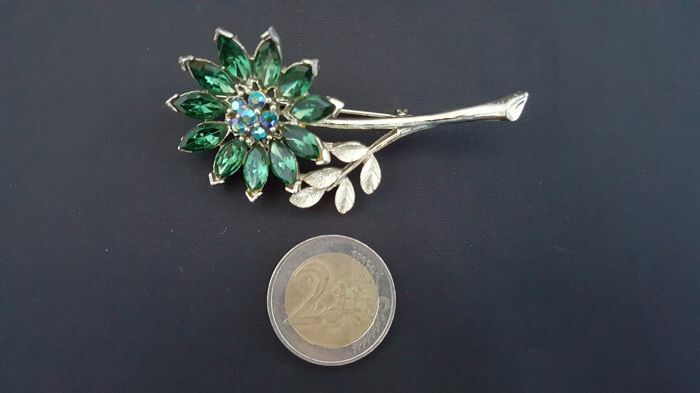 Here's a beautiful brooch from Lisner! 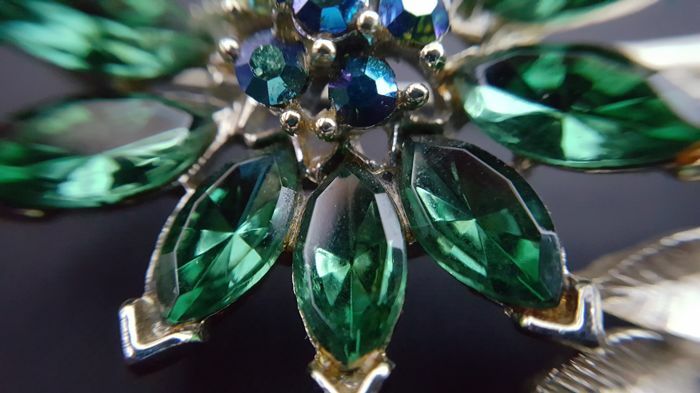 This beautiful vintage rare to find is set with beautiful emerald drop shaped crystals. 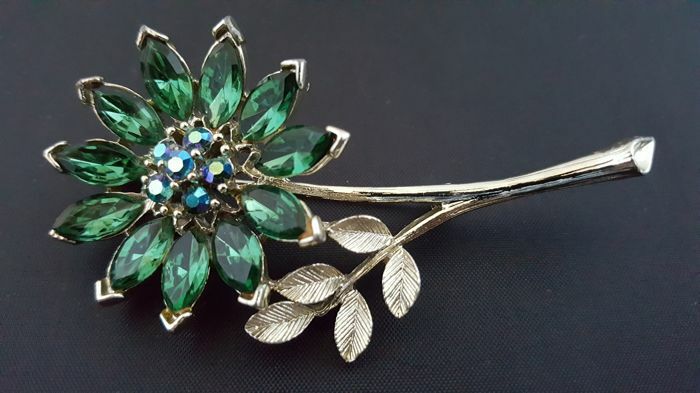 Flower design, create a classic look! 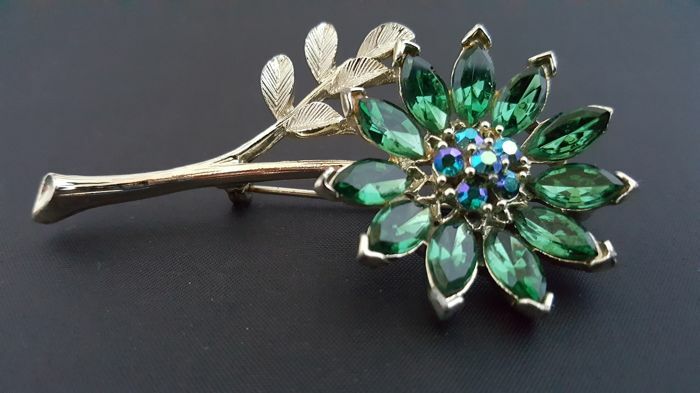 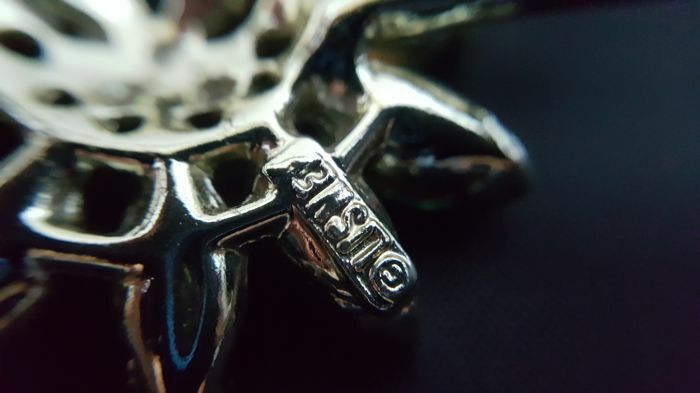 Great addition to your vintage costume jewelry collection! 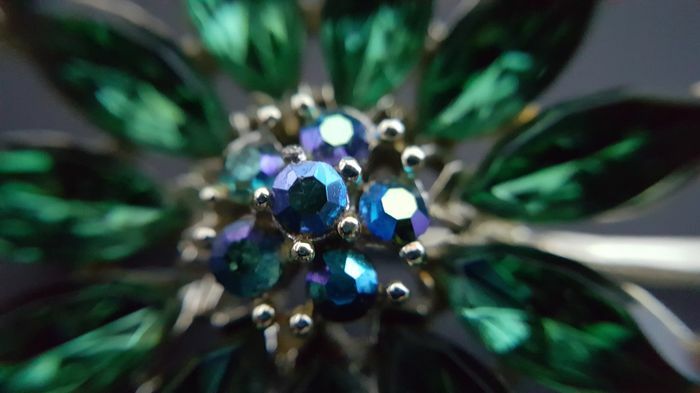 Lisner for nearly 30 years after its 1904 founding, Lisner imported and sold Elsa Schiaparelli's Parisian jewelry in the United States. 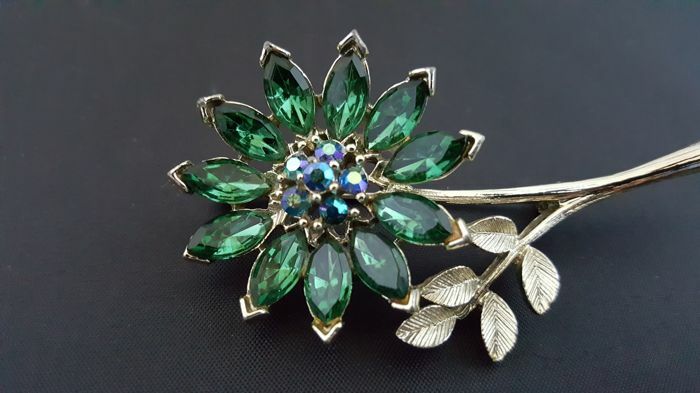 In the '30s, the company achieved a higher profile by finally selling its own designs that employed Dupont's new colored acrylic plastic called Lucite, as well as clear and colored rhinestones (particularly aurora borealis) and lava stones, as well as chromed, silver-plated, and black japanned metal.